maybe some of you just saw one of my newest drawings I did after I finished my Robo-Family project. Well it was a lot of fun to draw all these different members but now I'm currently workin' on somethin' more 'normal' cartoony style. 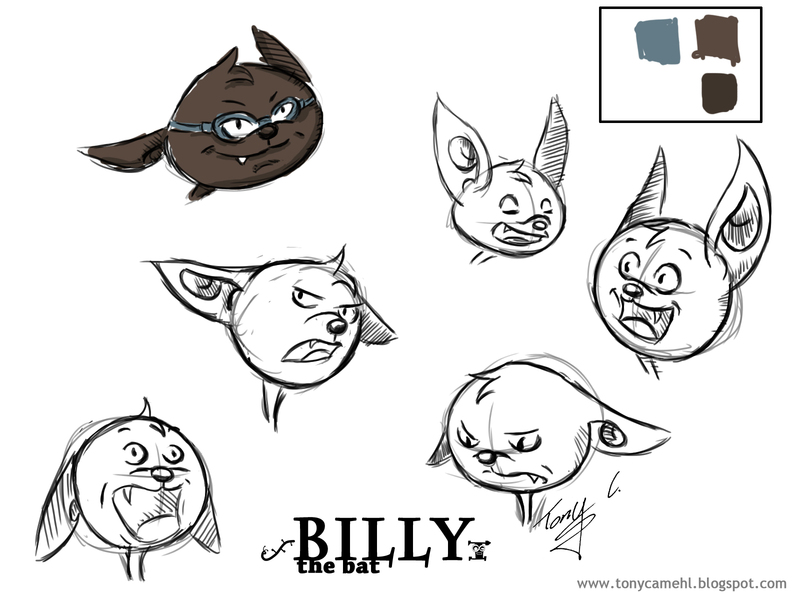 ... his name is Billy, Billy The Bat! And he's the Guardian of Halloween. Totally normal 'cause we all know the Guardians of XMas, Easter and the cute little Sandy of the animation movie "The Rise of the Guardians" by DreamWorks Animation - BUT we all need also a Guardian of Halloween, isn't it?! So here are some very rough sketches, doodles and ideas I did the last few days. I learned a lot how to draw the expression of an animal cartoon character!